NOTE: This macro works only in 3.build3016 or higher! 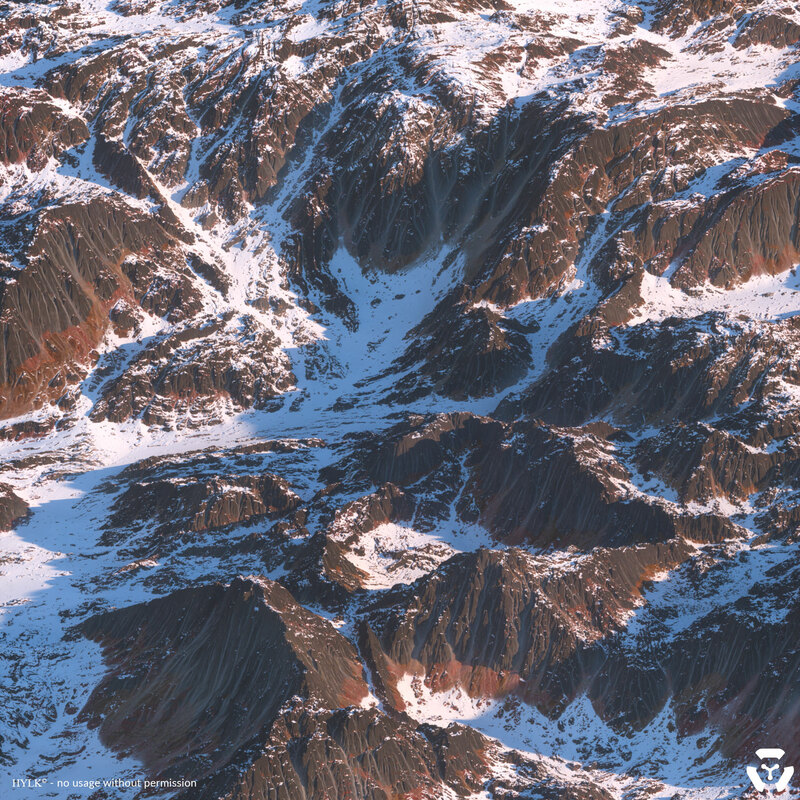 This colouriser is a complex yet elegant macro to give a nice texture to your terrain. It works with colourtables instead of normal colours. The result is a colouriser with very rich and nature-like patterns. 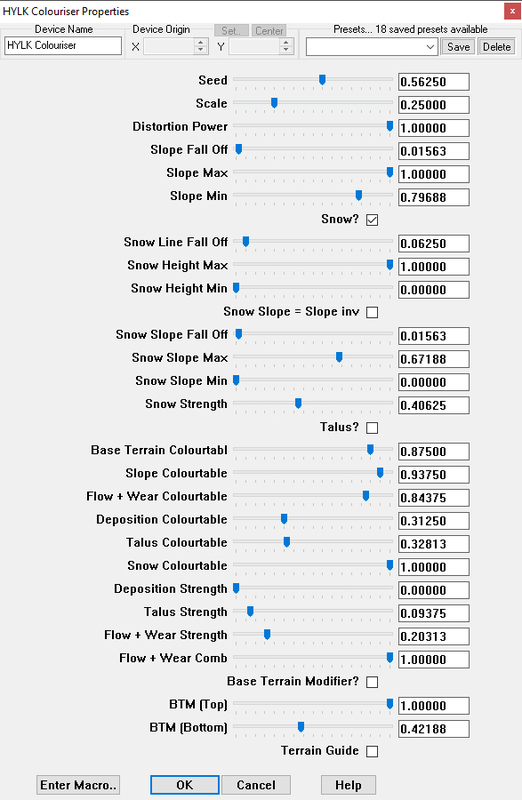 - The snow texture will be added to the flow and wear maps. This will result in a realistic snow coverage. - You can use the snow option also to add different stuff to your terrain, like sand. It's not only for snow. Only look inside if you know what you are doing. Don't touch the colourisers inside the macro, it will reset the colourtables and make this colouriser obsolete!